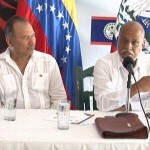 The Petrocaribe agreement is the cornerstone of diplomatic relations of Belize and the Bolivarian Republic of Venezuela. Since the program was restarted in 2012, some $190 million in sold petroleum at concessionary terms has been loaned to Belize, of which about 40% is paid back upfront. The remainder is treated as a long-term loan payable at 1% interest over 25 years, and must be used for projects that target poverty alleviation and human and social development. 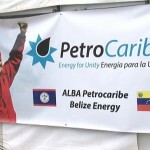 The office of Alba Petrocaribe Energy Belize Limited, which is overseeing the working relations of the agreement, was opened in Belize City today, and executive of PDV Caribe, one of the partners in the agreement, Ricardo Garcia, says Venezuela is pleased to continue to program with the Caribbean and Central American states. 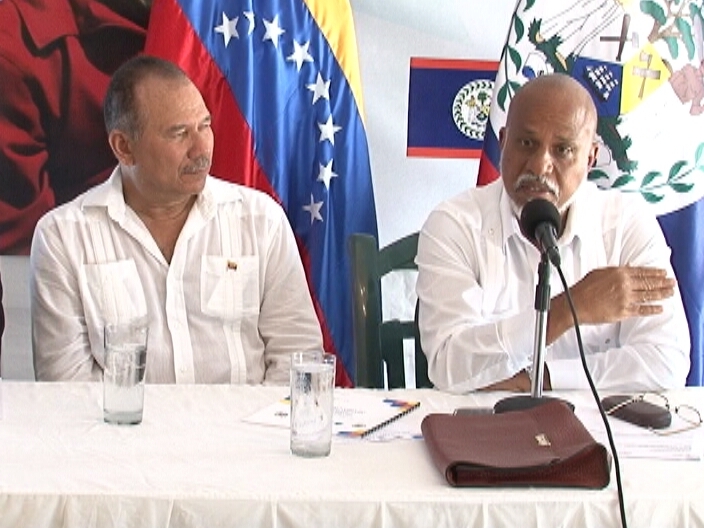 Ambassador of Venezuela to Belize His Excellency Yoel Perez Marcano called for an expansion of relations between the two countries and other members of the grouping in key social development areas through the work of the governments. 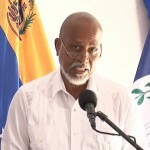 Minister of Foreign Affairs Wilfred Elrington said the South American states have led the charge to develop relations between countries of the Americas using their bountiful resources. 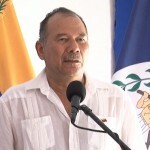 According to Prime Minister Dean Barrow the remaining loan monies are drawn down from the Consolidated Revenue Fund for specific projects to target poverty alleviation, among which he cited the opening of the National Bank, the expanded infrastructure project across the country spanning roads, bridges and facilities for sports and community gatherings among others. He stated that the Ministry of Finance makes the ultimate determination on what the money can be used for and there has been no objections from the Venezuelans on the projects brought for their approval. Puma Energy has become the sole supplier of oil from Venezuela to the country but any profits for the “capitalists”, according to the Prime Minister, are offset by the greater benefits to the country. 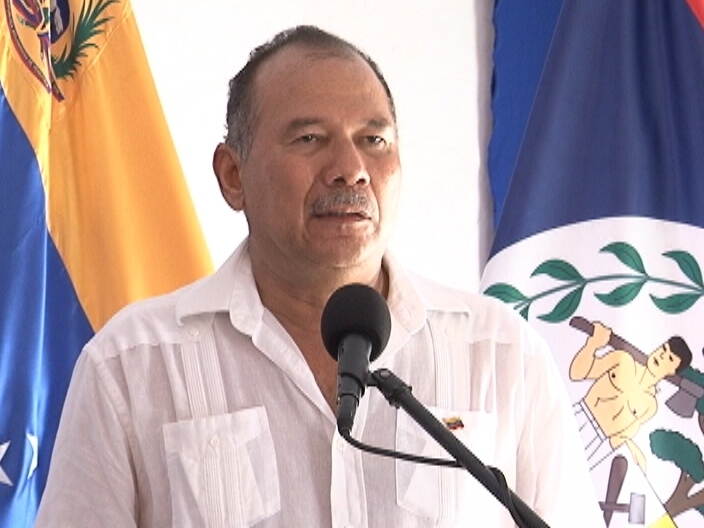 The initiative will continue for the foreseeable future and the Prime Minister said that Belize’s overall debt profile is not greatly affected. He added that he sees the funds also being used as paying back compensation for BTL and BEL or even to buy back Superbond debt as necessary. 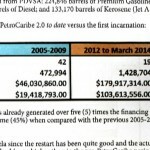 The Petrocaribe fund, it's the ultimate political war chest, paying for everything from your paved street, to the seed capital at the National Bank, to new sports facilities….and someday, it may even be used to buy back some of the Superbond debt. With all that, the Barrow Administration is eternally indebted to the Venezuelans. Hugo Chavez himself first put the agreement on the table in 2005 - but it was never fully operationalized. But since September of 2012, it has been maximized under a new arrangement worked out by the Barrow administration. So that every drop of premium, diesel, or regular fuel that comes into the country is from Venezuela, and every time you buy gas, whether you know it or not, you contribute to the fund. "The opening of the Apbel office today is of course a brick and mortar testament to the importance for Belize of Petrocaribe." 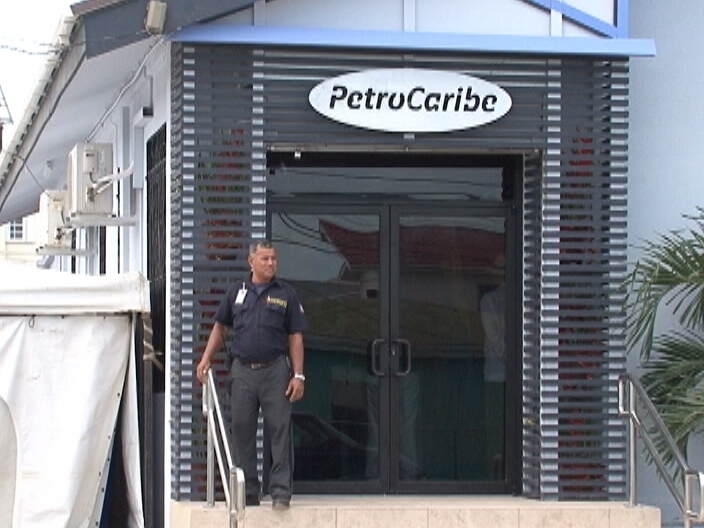 But no one knows for sure what will be done at the fairly plush executive suites, since it seems that the main job of the Petrocaribe Initiative is to count money - millions of dollars every month that just keep coming in. 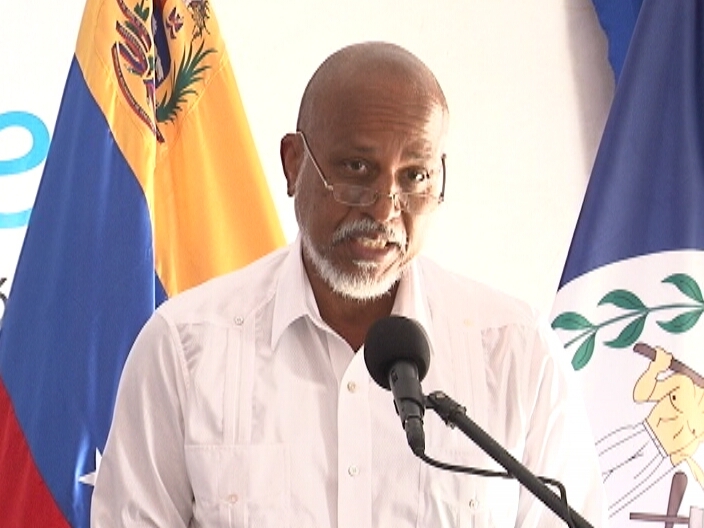 "After roughly 19 months of being in operation we have so far brought into the country of Belize at the disposal of the Government of Belize over 190 million dollars through the Petrocaribe agreement." 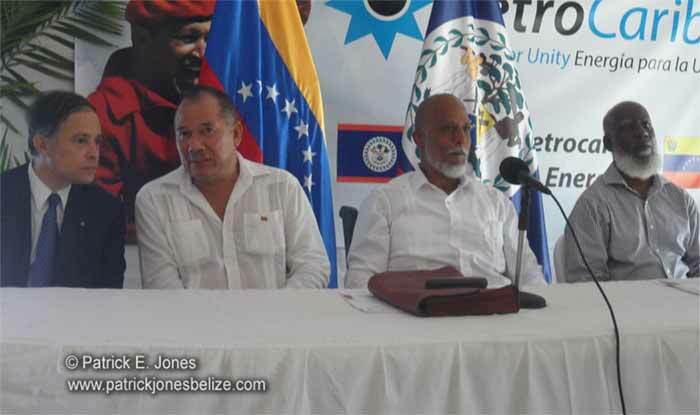 APBEL, the Alba Petro-Caribe Belize Energy Limited, is the local company formed to carry out the business and logistics of the initiative in Belize. That business is to bring in fuel sold directly at world market prices from Venezuela to Belize, distribute it through PUMA and pay only 40% immediately, with the other 60% on concessionary terms over 25 years at an interest rate of 1%. "One percent over 25 years is almost like a gift. There is a 2 year grace period, so we will be paying it as we go along, but you simply can't do better than that." "I don't think there is another country in the world that has gone as far as Venezuela in terms of making resources possible and specifying that those resources ought to be used specifically to transform the relationship of the people, help the poor, but Venezuela is giving until it hurts and for that I really want to thank them." "This is only a small part of it. There is much more to come depending on whether we have the stomach for it." "It is very important that people understand the important role that PUMA plays. Because of them we have been able to multiply the amount of financing that we've gotten under the agreement more than 10 fold than in the past because through PUMA we've been able to serve the entire market in Belize." "But a significant of the pump price are those build up fees that are paid to PUMA, a multi-national and a capitalist organization. So everyone is operating for the social good while the capitalist is enriched. Isn't it inimical?" "You won't draw me out in scaring off PUMA you know, but I will say that the notion of government in fact taking over the importation and the distribution of the petroleum products has been muted. The time might come when government might want to look at in fact taking over the importation and distribution of fuel, but that time is not now and I don't see it happening anywhere in the near future." "I won't go into all the details of all the ways government is putting the Petrocaribe flows to excellent use, but the 2 most obvious are of course the funding of the National Bank and the huge infrastructure drive that is creating thousands of jobs countrywide and providing visible physical quality of life uplift." "Lone live Venezuela, long live Belize. Que viva Venezuela, que viva Belize." 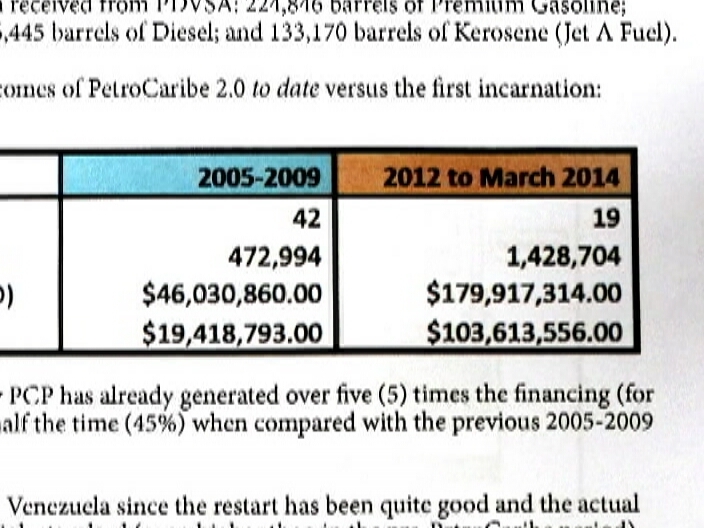 The Petrocaribe initiative took its first baby steps in Belize in 2005, but fizzled out in 2009. It was reloaded in Belize in 2012, and to say that the Jewel is reaping major financial dividends would be an understatement. 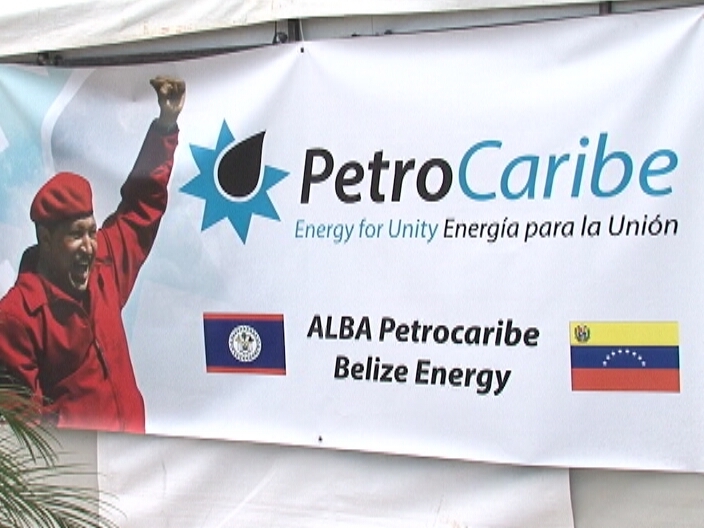 Today, the head office of Alba Petrocaribe Belize Energy Ltd. officially opened its doors in Belize City. 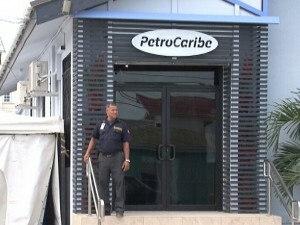 The company, dubbed APBEL, is a joint venture between Venezuela’s PDV Caribe and Belize Petroleum and Energy Limited. The joint venture has been put in place as the conduit between Venezuela’s oil company, PDVSA and the government of Belize, managing the flow of petroleum products and money. Mike Rudon was at the opening this morning and has the story. Venezuelan dignitaries, invited guests from the region, government officials and petroleum stakeholders were in attendance at the opening of APBEL’s head office this morning. Venezuela and Belize have maintained good relations for a quarter of a century, and that relationship is giving the jewel a major financial boost, where it needs it most. G.O.B. only pays cash for forty percent of the products it receives, which means that it has access to sixty percent. If that doesn’t get your attention, there’s this – since 2012, the government of Belize has seen a bonanza of one hundred and three million, six hundred and thirteen, five hundred and fifty-six dollars – US. That’s more than two hundred and seven million dollars in just two years, to be used on projects which directly benefit Belizeans. Prime Minister Dean Barrow says that the one percent interest rate will remain stable, and maintains that the only way this could get any better is if Venezuela gave us the money as a grant. With the future of petrocaribe funds looking so bright, the PM is pulling out his shades and is looking at revisiting the ominous and infamous superbond. When the initiative first started in Belize, petroleum products were supplied primarily to the south of Belize. In this remix, Puma Energy Belize is a big player which ensures that petrocaribe oil is supplied across the country. Mike Rudon for News Five.